Through negotiations between administration, Concordia Student Union and the Muslim Student Association, the university’s upcoming renovations will no longer reduce the space used for the MSA’s Friday Jummah prayers. 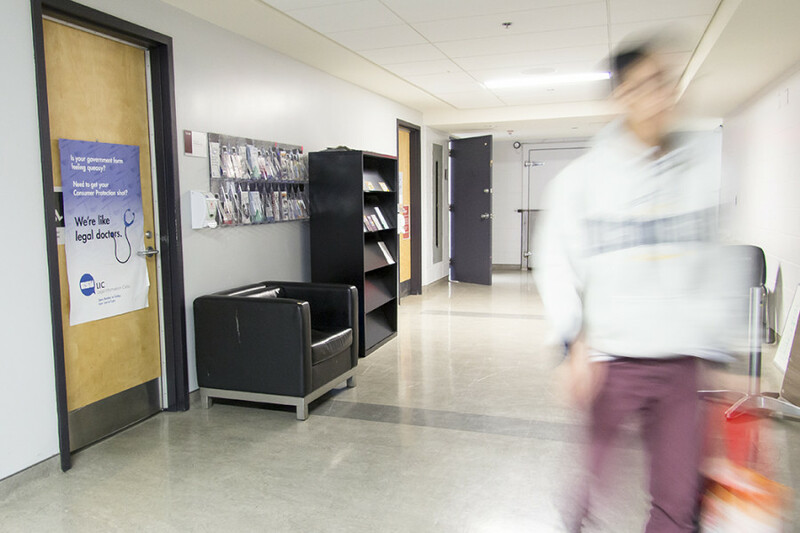 According to CSU External Affairs and Mobilization Coordinator, Aloyse Muller, the school’s renovations will leave space in the now empty conference room spaces on the seventh floor for various services, such as a Student Success Centre. Because of this, they’re expecting an increase in traffic on the floor. All floors on campus have a limited capacity, in terms of the number of people who can be on the floor at the same time, due to safety reasons. Muller explained that the school ran into an issue when they realized people would be on the seventh floor for the new services, People’s Potato, and the MSA Jummah prayers, at the same time on Fridays. Because of this, administration had plans to build a glass wall between the small and large lounges, decreasing the space that the MSA currently uses for their Jummah prayers. Through negotiations with the CSU and the MSA, they came to a compromise and the school has now agreed to build a partial wall, rather than a whole one, so that the MSA does not lose any of their prayer space. “I also want to stress that we’ve been centering the MSA in all the conversations we’ve been having with the administration […] but more importantly we’ve been making sure that there are long-term conversations about prayer space at the university,” CSU General Coordinator Lucinda Marshall-Kiparissis explained at their special council meeting on Wednesday, April 5. Muller added that the administration insisted on keeping the partial wall, for “aesthetic” reasons. “We exhausted all the influence we could to get to that concession right now. If people feel that it’s still too much […] it’s more to the students to mobilize if they feel it’s necessary not to have a wall,” Muller said. With the university undergoing renovations in the Hall building, the CSU has decided to take the opportunity to renovate some of their spaces on the seventh floor. The CSU voted to allocate $25,300 from their Student Space, Accessible Education and Legal Counsel Fund to renovate the Legal Information Clinic and the lounge on the seventh floor. The area around the Legal Information Clinic will be completely renovated in order to make the office more visible to students. Windows will be installed at the clinic, but will be placed in such a way as to not compromise privacy. According to Muller, the clinic currently has a privacy issue as the walls are not soundproof. As a solution, they will be adding insulation to the doors. The CSU lounges—the open space for students on the seventh floor—will also undergo renovations. The plans include rewiring the lights so that they can be dimmed separately from the rest of the floor. They also want to be able to turn it into an event space in the future, where they can hold public presentations. It is not yet known when the renovations are expected to be complete.